Information: Mary Bee Jensen (1918-2018) and Clayne R. Jensen, teachers and authors of books about folk, square, and round dancing. Mary Bee Jensen was a native of Provo, Utah. She graduated from Park College in Missouri and received a Master of Arts in Recreation Education from Brigham Young University (BYU). In 1952 she joined the faculty of BYU's College of Physical Education and continued in that role for 33 years. Through her tireless efforts as a dance educator and artistic director, she developed an international awareness of BYU as a major artistic presence in the field of world dance. Mary Bee started the folk dance program at BYU in 1956, and it grew by leaps and bounds. She was founder and director of the Brigham Young University International Folk Dancers who have traveled and performed in Austria, Belgium, China, Denmark, England, Finland, France, Holland, Israel, Italy, Poland, Portugal, Romania, Spain, Taiwan, Turkey, and other countries. They were featured performers at the 40th anniversary of a printed Viltis magazine. When, in 1964, Vytautus (Vyts) Beliajus, known as "Mr. Folk Dance U.S.A.," recommended Mary's group to the People-to-People organization to represent the United States in an International Festival in Danmark, she pursued it immediately. With no financial backing, she and her husband took out personal loans to finance the trip for her students. Although she began by teaching square dancing, one of Jensen’s most significant achievements at BYU was that of organizing the International Folk Dancers in 1956. During the next 28 years she developed the program to a position of international prominence in the dance world. Beginning with the Folk Dancers' first European tour in 1964, Jensen has directed 27 tours to Europe and two tours to the Far East. She has led her students in concerts at the Kennedy Center, Lincoln Center, and in international television performances seen in Bulgaria, Hungary, Poland, Romania, and Russia. Mary Bee was a co-founder of the National Folk Organization in 1986 and was a member of the Worldwide Association for the Performing Artists Board of Advisors. She was an Honorary Congress Chair for the International Organization of Folk Art. She was the first American appointed to the World Congress as a delegate to the Council of International Organizations of Folklore Festivals (CIOFF) where she served for fourteen years and received the CIOFF Gold Award. Her numerous awards include the Alumni Distinguished Service Award, Karl G. Maeser Award for Teaching, BYU Chapter of Phi Kappa Phi's Alumni Award, BYU's Outstanding Woman Award, Outstanding Educator of America, and the National Dance Association Heritage Award. She was the Grand Marshall for BYU's Homecoming Parade in 2006, received the Lifetime Achievement Award from the Utah Dance Education Organization (UDEO) in 2007, and received the Days of '47 Progress Award in the historic and creative art category. In December 2009, Mary Bee was honored at the 50th anniversary of "Christmas Around the World" for beginning the production that has become a family tradition for so many. In 2010, she was presented with the Franklin S. Harris Award in recognition of a lifetime of exceptional service and professional achievement as a dance educator and artist at Brigham Young University. Mary Bee spoke at the April 2010 College Convocation, where she encouraged graduates to "never give up." She continued to be involved with international folk dance organizations and was actively connected to BYU's Folk Dance program, where she provided a legacy of immeasurable worth. At BYU and in her work advancing the discipline of folk dance internationally, her greatest gift was the powerful spirit of love she brought to each person with whom she came in contact. Her life's motto was "the more you give, the more you receive in return." Upon retiring, her work and support of folk dancing has never stopped. In 1998, she was recognized for her life work with the prestigious San Antonio College Festival Award, and the Heritage award presented by the National Dance Association. 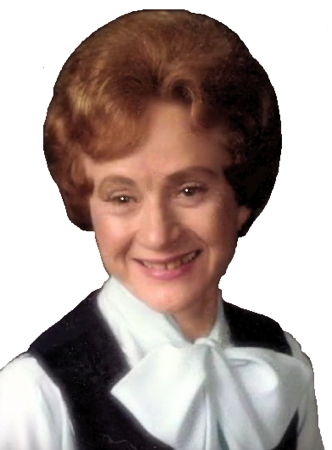 Mary Bee passed away on April 13, 2018, a few weeks shy of her 101st birthday. Clayne R. Jensen was born on March 17, 1930 in Gunnison, Utah, United States. Son of Alton H. and Arvilla R. Jensen. He served as a Captain in the United States Marine Corps, 1952-1955. 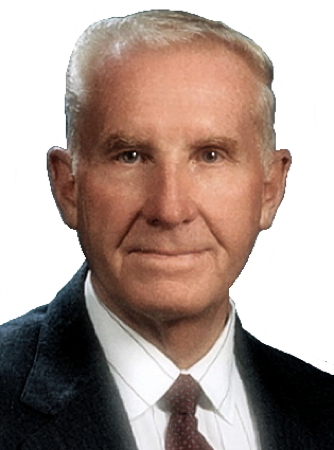 Clayne wore many titles comfortably during his 31 years of service to Brigham Young University: athletic director, dean, associate vice president, professor, administrator, author, husband, father, and fan. During the 18 years he was dean of the College of Physical Education and the four years he was associate vice president, both the men's and the women's athletic programs reported to him. For 19 of those years he served as BYU's faculty representative to the Western Athletic Conference and the NCAA. He was consistently engaged in the planning, developing, and financing of sports facilities at BYU. As dean and associate dean he was involved in the planning and construction of the Marriott Center, the expansion of Cougar Stadium, and the creation of BYU's new track facility. He also gave principal leadership to several Smith Fieldhouse renovations, including the athletic strength and conditioning facility. During his two-year tenure as director of athletics, he arranged for the $1 million improvement of the tennis facilities and the $3.5 million project in the Smith Fieldhouse. Further, he left the athletic department debt-free, with a strong financial base for the future. In Jensen's many years of administrative responsibility, he was pivotal in positioning athletics within the university and the community. His leadership, his role in hiring and supervising athletic personnel, and his integrity in dealing with other universities made him a stabilizing force for BYU athletics during an era concurrent with three BYU presidents, three WAC commissioners, and a host of coaches and athletes. Beginning Folk Dance. Clayne R. Jensen and Mary Bee Jensen. Belmont, California: Wadsworth Publishing Co., 2004. 60 pp. Softcover. Folk Dancing. Mary Bee Jensen and Clayne R. Jensen. Provo, Utah: Brigham Young University Press, 1966, 1973. 147 pp. Softcover. Round and Square Dancing for Fun. Clayne R. Jensen. Square Dancing. Clayne R. Jensen and Mary Bee Jensen. Provo, Utah: Brigham Young University Press, 1966, 1973. 159 pp. Softcover. National Folk Organization: Why, Where and How, an article. Round Dance Glossary, a list.